Your home should be a place to rest, reflect, and immerse yourself in tranquility. 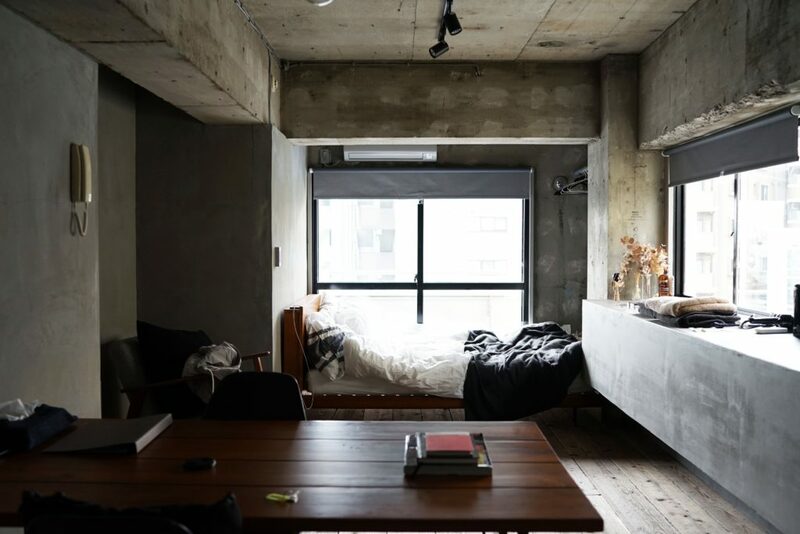 Japanese culture promotes a sense of harmony at home through feng shui, a practice that allows you to balance the energy of a room. “Zen” could directly translate to “meditative state.” In order to find this peaceful state of mind, you’ll have to follow these tips and tricks to make your home the oasis you deserve. Studies have shown that plants can boost your mood and relieve some of your stress as well. NASA has even revealed that plants can remove up to 87% of air toxins in any 24 hour period. There’s a reason why Pinterest boards consist of rooms overflowing with natural light and growing vines, besides aesthetics. 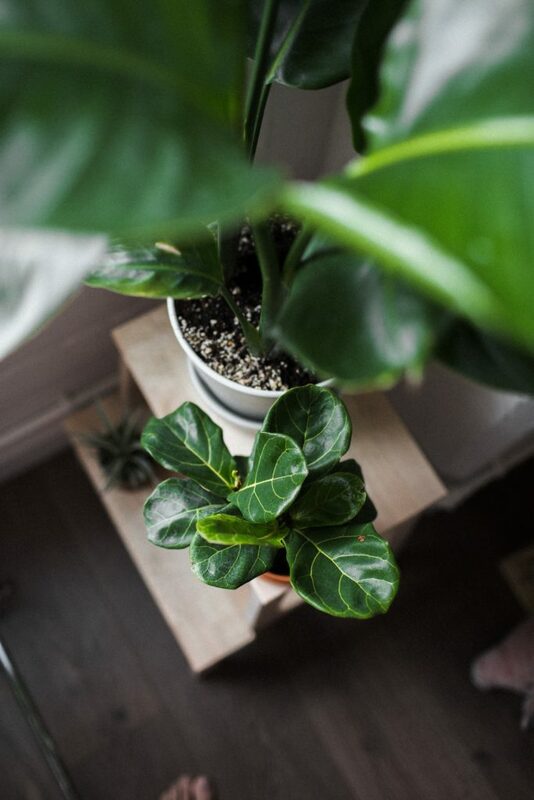 Surrounding yourself with plants can make you feel more at ease by bringing some of the outdoors in, centering you to nature whenever you need to be. 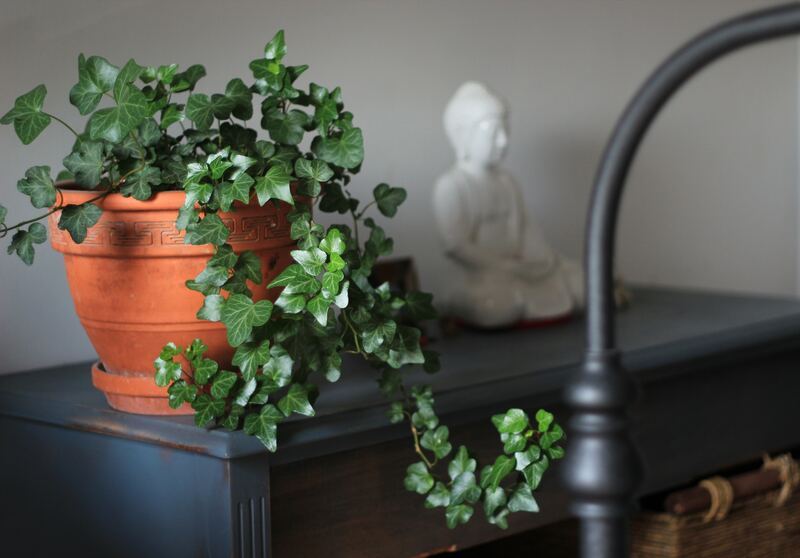 Following the ancient art of Feng Shui is a good way to bring zen into your home. Be mindful of mirrors, revolve around natural woods, and create a sense of harmony starting at the entrance of the front door. Rearranging the furniture in your home is a simple (and cost-effective) way to balance the energy in your home. You’d be surprised how much more at peace you can feel when you are mindful of your home. 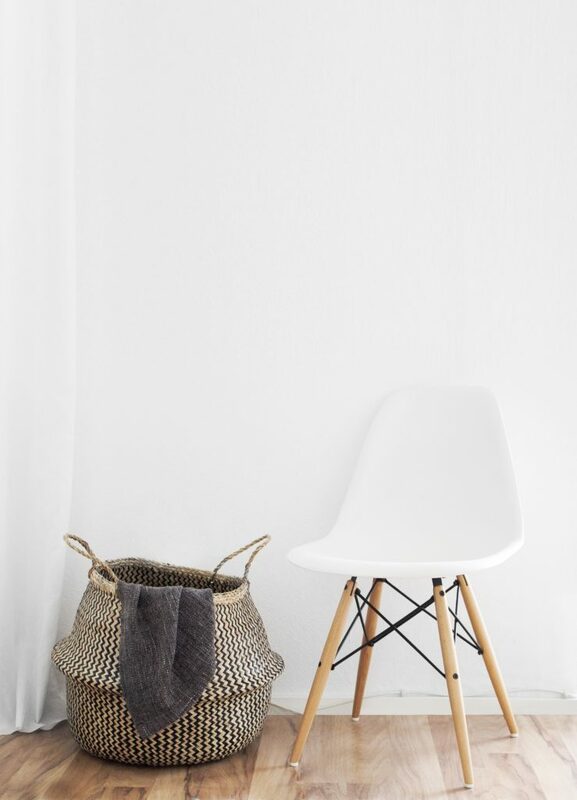 While the minimalist lifestyle isn’t for everyone, it does promote essential ideals to keep in mind when creating a zen home. Keeping spaces tidy and clutter-free with chic storage is an easy way to lower your stress levels at the end of the day. Out of sight, out of mind, as they say. The New York Times best-selling author Marie Kondo, aka KonMari, developed the KonMari method that can help you get a start on tackling the clutter. “The most efficient tidying order starts with clothing, then books, papers and miscellaneous items, before finishing off with things that have high sentimental value, like photos and albums,” KonMari tells the New York Times. Natural light is the source of every home’s energy, so let it pour in. You would be surprised how affected we are by harsh fluorescent lighting, so opt for soft sources of lighting instead. Play around with the placement of lamps and let them breathe new life into the corner of a room. If you play your cards right, it can make your home feel that much more spacious and airy. Palettes centering around earth hues usually bring us a sense of calm and serenity, with good reason. “If you’re going for more of a relaxing Zen-like atmosphere, you’ll want to use cool colors like blue hues or soft neutrals,” says interior designer Shelly Lynch-Sparks. Creating a sense of harmony between any colors you use is very important when building a balanced room. Imagine a dim, airy space lit with candlelight and enough space to stretch into any yoga pose. A home yoga studio could be yours through simple tips that can create a sense of zen in your room. It could be your own meditative space with a beauty cabinet overflowing with essential natural oils. “We’re seeing a lot of people incorporating everything from eucalyptus to tea tree and CBD oils into their yoga practice to relax after a long stressful day or to soothe and relieve tension in sore muscles,” says Marc Lewis, executive editor at Remedy Review. Displays have the potential to disturb any peaceful ambiance, just by reminding you of the outside world instead of what surrounds you. Keep electronics hidden where you can to create a more mindful space. You’ll find yourself picking up a magazine or book more often than if you turned your attention towards your iPad. Play with texture to give depth to any room, turning a keen eye on the little details. 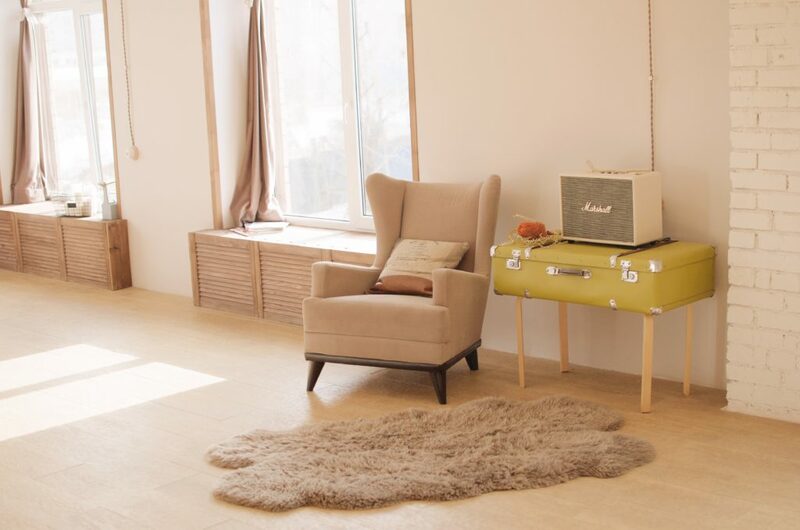 A shaggy beige rug or white fluffy pillow can make your room feel cozy while still lowkey. This is an opportunity to showcase your decorating skills with interesting fabrics and textiles for a more zen space. In the world of Feng Shui, bamboo is believed to attract luck and abundance through its cleansing energy and representation of all natural elements (water, wood, fire, earth, and metal). The element of natural wood is essential when it comes to crafting a harmonious environment. If you’re lucky to have hardwood floors, showcase them by only using soft, light colors. An essential oil aroma diffuser has the ability to purify the air around you, leading to a relaxed and tranquil space. Aromatherapy does wonders when it comes to a peaceful mind, so bring those elements in for a peaceful home. Oil diffusers provide moisture, which helps clear your sinuses and pores as well as healing dry skin. With these ten tips and tricks, you can bring zen into your home by creating a sense of balance and harmony that will eventually reflect in your everyday life.